Pricing on business cards, post cards and brochures. We offer custom quotes for each client. Call, email, use our website or we can setup an appointment face-to-face. Local print professionals available to answer questions. Not all printing projects fit a single mold. See sample pricing on our most popular products. Click below to get pricing on some of our most popular printed products. If you don't see what you're looking for, request a custom quote. 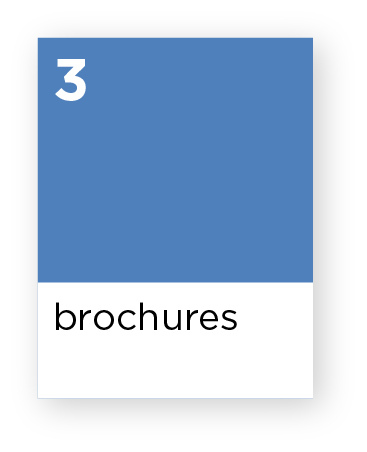 We're happy to provide quotes which include your company's PMS ink colors, foil stamping, embossing or other non-standard features. We're even happier to meet with you to discuss your needs. We provide service you simply cannot get from an anonymous internet printer. Call us today for an appointment and see why we've been the solution for businesses throughout the Bay Area for 45 years.